— An astronaut and a cosmonaut launched on the first two-person spaceflight in 14 years, bound for a five month stay on the International Space Station. 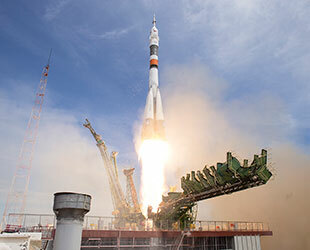 Astronaut Jack Fischer with NASA and cosmonaut Fyodor Yurchikhin of Roscosmos lifted off on Russia's Soyuz MS-04 spacecraft, atop a Soyuz-FG rocket, from the Baikonur Cosmodrome in Kazakhstan at 3:13 a.m. EDT (0713 GMT; 1:13 p.m. local time) Thursday. Launched on a "fast-track," six-orbit rendezvous, they are set to dock the Soyuz at the station's Poisk module at 9:23 a.m. EDT (1323 GMT). Update: Soyuz MS-04 docked to the space station at 9:18 a.m. EDT (1318 GMT). 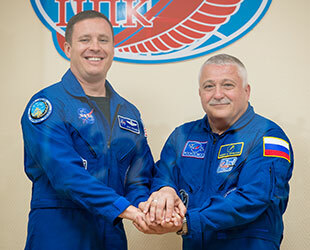 Once aboard the orbital laboratory, Fischer and Yurchikhin will become part of the Expedition 51 crew, joining NASA's Peggy Whitson, cosmonaut Oleg Novitskiy, and European Space Agency astronaut Thomas Pesquet, who arrived at the space station in November. "We are carrying some cargo up to the station in that third seat," said Fischer in a press conference on Wednesday. "I know I speak for Fyodor when I say if we could figure out how to fit [our wives] Larisa and Elizabeth in that seat, that is who we would take with us." 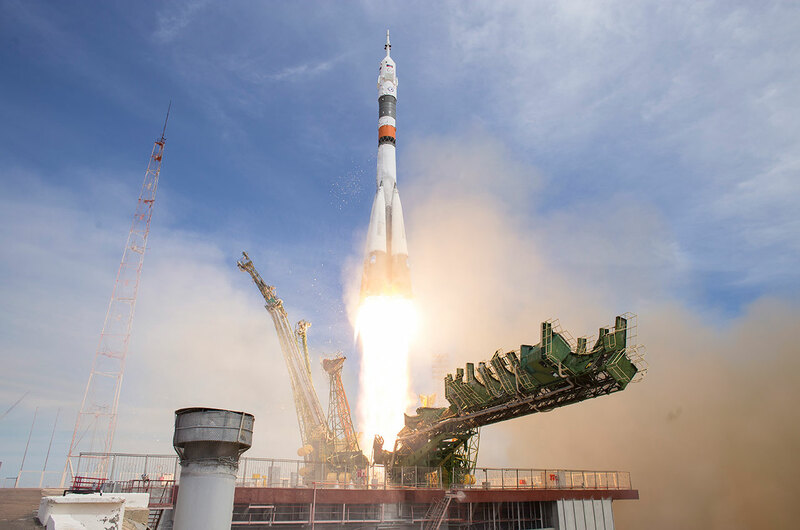 The last time that a two-person crew lifted off for the space station was in April 2003, when Ed Lu with NASA and Yuri Malenchenko with Roscosmos launched on Soyuz TMA-2 to become the Expedition 7 crew in the wake of loss of the space shuttle Columbia two months earlier. 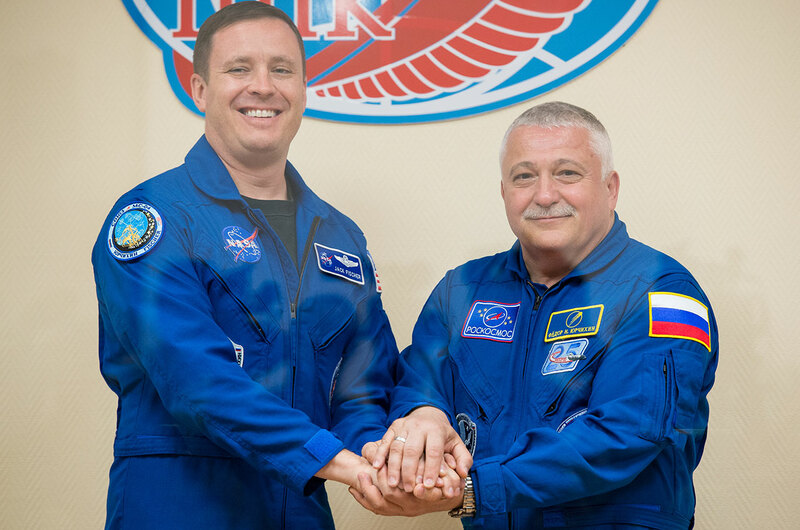 Like Malenchenko and Lu, who returned with a third crew member (ESA's Pedro Duque), Fischer and Yurchikhin are slated to land in September with their empty seat filled. Whitson, who on Monday (April 24) will surpass the record for the most time spent in space by an American astronaut — 534 days and counting, in the course of her three flights — recently had her own stay extended. Instead of landing with Novitskiy and Pesquet in July as first planned, she will take the open seat on Soyuz MS-04 and return home with Fischer and Yurchikhin after serving on Expeditions 50, 51, and 52. During Expeditions 51 and 52, Fischer and Yurchikhin will help with hundreds of experiments and oversee the arrival and departure of Russian and U.S. visiting vehicles — the first of which, Orbital ATK's S.S. John Glenn Cygnus cargo freighter, is set to berth at the space station on Saturday. 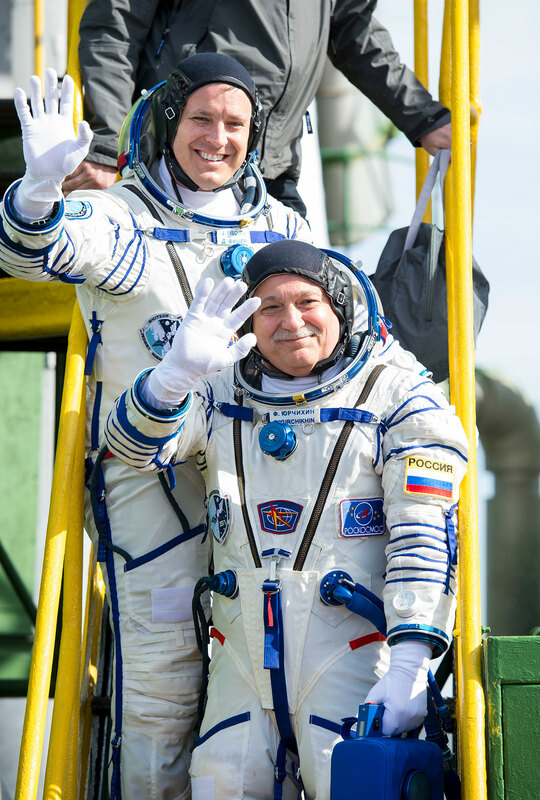 For Yurchikhin, this marks his fifth launch to space, having logged a total of 537 days on one space shuttle mission in 2002 and three long duration missions on the International Space Station in 2007, 2010 and 2013. When he lands on Earth at the end of this flight, Yurchikhin will rank seventh in the world for time in space, just ahead of Whitson. Fischer, whose nickname "2fish" came from his former Air Force squadron having another guy named Fischer (as in the Dr. Seuss book, "One Fish, Two Fish..."), is on his first flight since being chosen as a NASA astronaut in 2009. He is the 550th person in history to fly into Earth orbit. 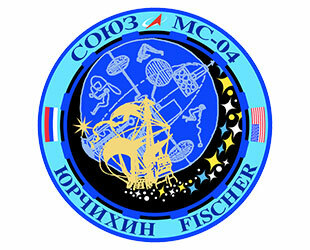 Fischer and Yurchikhin were the first to receive permission from Roscosmos to name their Soyuz — "Argo." "It came from the Argonauts, the seafaring explorers [from Greek mythology] and we are the explorers of space," said Yurchikhin, whose call sign for the flight is "Olympus." 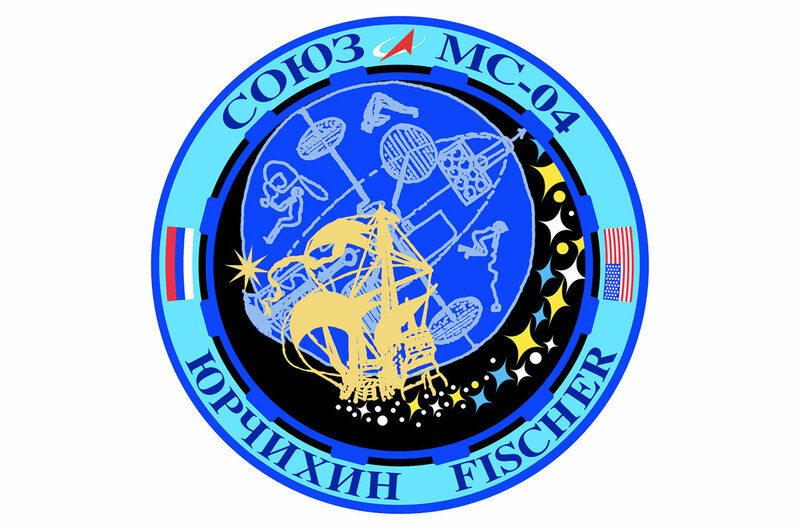 Fischer and Yurchikhin also each selected dolls to act as their ship's zero-g indicators. Yurchikhin flew a small white plush dog for the fifth time and a pair of Russian cartoon characters. Fischer chose the multi-color sun-shaped logo of the MD Anderson Cancer Center in Houston, where one of his two daughters received treatment. Soyuz MS-04 is the 50th Soyuz to fly to the International Space Station since 2000 and 133rd since the first flight of Russia's Soyuz-class of spacecraft in 1967.